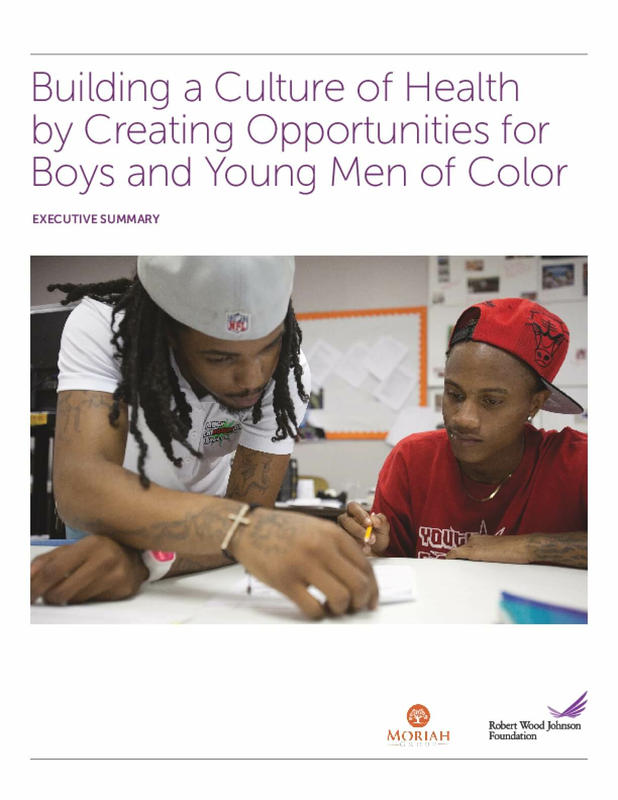 There is a long list of social, institutional, and economic barriers that prevent too many boys and young men of color from reaching their full potential. They are more likely than their white peers to face risks in their community, in school, and at home that jeopardize their health and life chances. To better understand these barriers that America's young men of color face and promising ways for our nation to overcome them, the Robert Wood Johnson Foundation's Forward Promise initiative—in partnership with the Moriah Group—commissioned seven issue briefs. These briefs, authored by leading researchers in academia and the social sector, examine quality education, suspension and expulsion, childhood trauma, and lack of early career opportunities. Copyright 2016 by Robert Wood Johnson Foundation. All rights reserved.